“Today the fight against exclusion and stigmatization must be extended to other areas of our African culture, such as tribalism, which today remains a disease as serious as leprosy”. When leprosy is mentioned in the Catholic Church it is a natural inclination to recall the heroic work and martyrdom of St. Damien of Molokai, the Belgian missionary who helped transform the lives of so many human beings who, through fear and ignorance, were literally dumped like garbage on the Hawaiian island of Molokai. Damien, later supported by a missionary sister from the United States, Sr. [now Saint] Marianne Cope, captured the imagination of the world, including such luminaries as Mahatma Gandhi and Robert Louis Stevenson, by embracing those who where then, the most rejected souls on Earth. This Sunday, January 27, is the 66th World Leprosy Day. The Vatican News Agency, FIDES, carries an insightful interview for the occasion with SMA Missionary, Fr. Donald Zagoré, currently serving in Togo. “In Africa,” Fr. Donald told FIDES, “even if leprosy is still prevalent in some countries such as Madagascar, Nigeria, DR Congo, South Sudan, Burkina Faso, the problems of stigmatization and exclusion are decreasing”, he said. 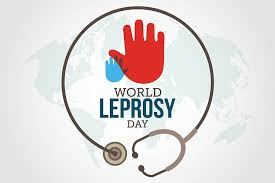 “Today is an opportunity to remember the commitment of the Church in general, and of missionaries in particular, in the fight against the eradication of leprosy and, on the other hand, against the stigmatization and exclusion of men and women suffering from leprosy in Africa”, Fr. Zagoré said. According to FIDES, every tow minutes in the world a person is infected by Hansen’s disease. 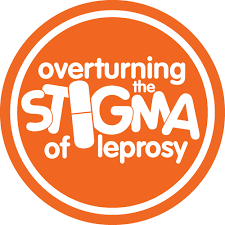 According to data on leprosy, published by the World Health Organization, in 2017 the highest concentration of the disease was in 14 countries which alone account for 95% of new cases. India is the most affected country with 135,485 cases, followed by Brazil with 25,218 cases and Indonesia with 16,826 cases. In 2016, 32 new cases of infection were recorded in Europe. “For a long time, men and women suffering from leprosy in Africa, suffered twice,” Fr. Zagoré told FIDES. 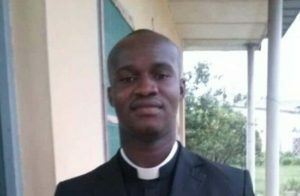 “Overcoming the stigmatization of the sick, who in the past were rejected by society, is one of the greatest victories of the Church’s work of evangelization in Africa” the SMA missionary said. “The zealous and unconditional commitment of the missionaries, at the risk of their lives, alongside men and women living with leprosy, has brought many Africans to the awareness of the need for a cultural renewal that educates consciences. The testimony of the missionaries remains a true source of evangelization for leprosy patients. Through the missionaries, the light of the Gospel has penetrated into African culture to transform hearts”, he adds. Fr. Zagoré concluded: “Today the fight against exclusion and stigmatization must be extended to other areas of our African culture, such as tribalism, which today remains a disease as serious as leprosy”. To learn more about World Leprosy Day, click here. Next articleSMA support the care and reintegration of the mentally ill in the Benin Republic.